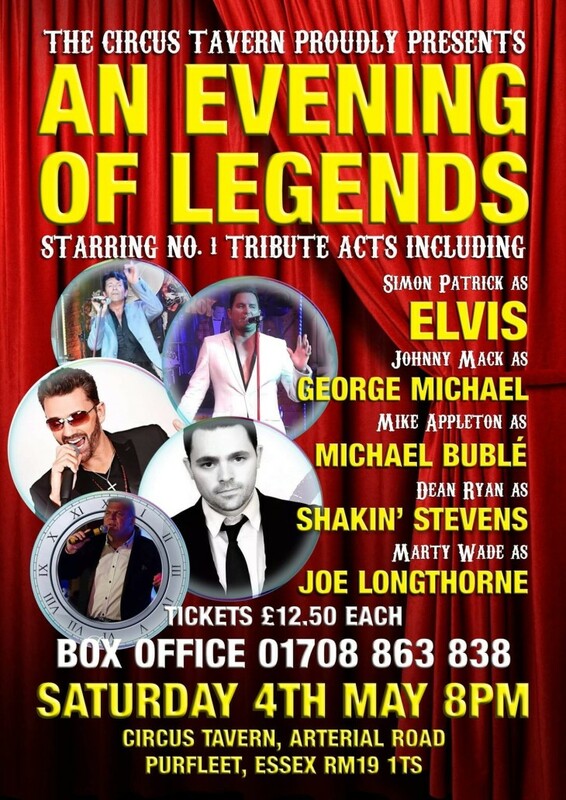 An evening with Tribute Legends with Elvis, George Micheal, Joe Longthorne, Michael Buble and shakin Stevens. This promises to be a full nights entertainment for all ages. Children over the age of 7 are welcome. Fast food counter open on the night at the back of the auditorium. Booking office times are 10am to 10pm. But on event dates The Circus Tavern is open later depending on the event.